Lūdzu, sniedziet pēc iespējas vairāk informācijas par 125-73-460, Serial Server 2x RS232. Real COM Mode: In order to enable a computer to access the interfaces of the NPort server, virtual COM/TTY ports are created with the aid of driver software under Windows/Linux. 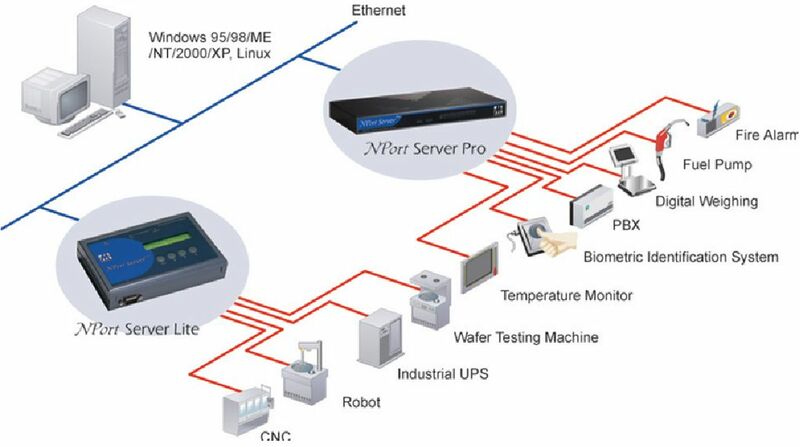 In this way the existing applications can be used for serial communications. 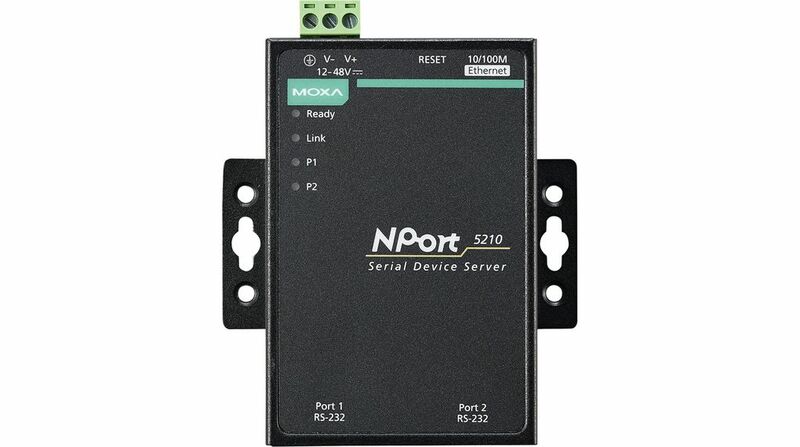 Pair Connection Mode: With the aid of two Nport servers (5110/DE-211/DE-311), two serial devices can be connected directly to each other via a local Ethernet or via the Internet.